Suzuka is one of the most popular circuits on the Formula One calendar, thanks to a thrilling track layout and some of the most passionate fans on earth. This year, Pirelli will take the two hardest compounds in the range: the P Zero Orange hard and P Zero White medium. These are well-suited to the challenging demands of this famous track, which is located in the middle of Japan near Nagoya. Suzuka is best known for fast corners such as 130R and Spoon, which have a notable effect on tyre wear and degradation. Consequently, between two and three pit stops are expected. The other feature of Japan is its extremely variable weather, with heavy rainfall a common feature of the weekend. In 2010, qualifying even had to be postponed until Sunday morning because of a rainstorm. Last year’s race, however, took place in hot conditions with temperatures that exceeded 30 degrees centigrade – which just goes to illustrate the unpredictable variety of the Japanese Grand Prix. The flowing nature of the 5.807-kilometre Suzuka track means that it actually has the lowest traction demand of any circuit all year. But it also has the highest demand in terms of lateral energy. The first half of the lap is essentially a non-stop series of corners. This puts plenty of heat through the tyres, as there is no significant straight where they can cool down. As a result, the hottest part of the tyre tread can reach 110 degrees centigrade. The tyre that is worked hardest is the front-left. Pit stops at Suzuka carry a relatively low time penalty, due to the short 395-metre pit lane. This allows further flexibility with the race strategy. at maximum aerodynamic downforce, combined with a lateral acceleration of 3.1g. 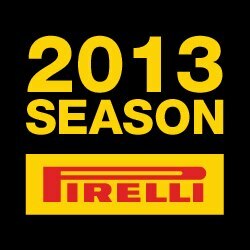 This puts the tyre structure through some of the most strenuous operating conditions seen all year. High levels of stress on the tyres can cause blistering if the car is not set up properly. This phenomenon is the result of localised heat build-up, particularly in the shoulder of the tyre, as it flexes. The majority of drivers last year used a two-stop strategy. Only three chose to start the race on the harder compound – from a long way down the grid – but this strategy proved to be useful in boosting their track positions. Sebastian Vettel won from pole, at a race that was affected by a safety car on the opening lap.